I got my first Newton in 1997. I bought a used 100 from a friend. He himself had a 2000, but this device was unaffordable for me at that time. The 100 accompanied me through the training. When the batteries ran low, I soldered a 9-volt block to the device. For 10 years I have been collecting all kinds of Newtons. 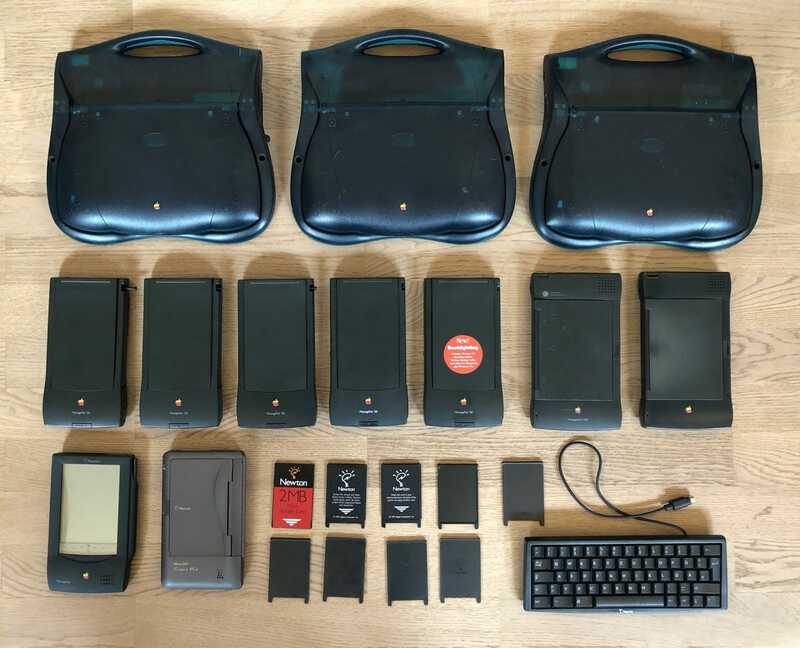 My favorites are the 2100, the 130 (best case) and the eMate (best design). But the 100 will always have a special place in my heart. These devices are still on my desk and they are regularly connected to a Mac Colour Classic and an iMac. Thanks to the great community, the Newton can still be connected to a current macOS.